Throughout this website, the football stories of underdeveloped countries often reflect their nation’s politics. Even in developed nations, politicians use sports to bolster approval, because everyone loves a winner. Elections need to be carefully planned around major sports events. For example, don’t copy Brazil, who scheduled elections to follow the 2014 World Cup. Brazilians ousted its politicians after their team’s debacle. Learning from that, Putin has instead planned his next re-election to be held in advance of the 2018 World Cup that Russia is hosting. So the story of Nejmeh FC is quite unusual, especially in the Middle East. 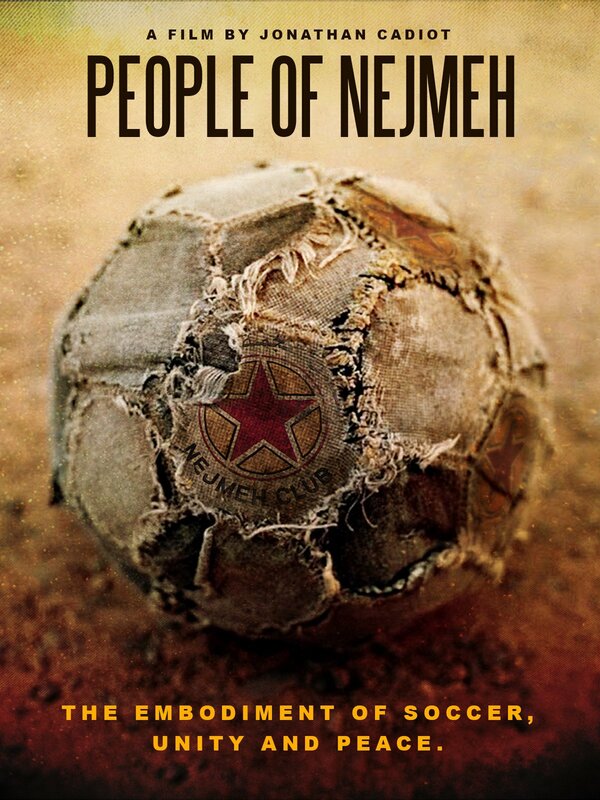 Nejmeh, which means “The Stars”, was founded on the principle that it be a club for all people and all religions. For decades, it was the only non-sectarian club welcoming Sunni, Shiite, and Christian players and fans in Beirut. Director Jonathan Cadiot and writer Youssef Yaacoub have assembled a riveting story of a club whose fans have clung to its founding principle despite almost 50 years of civil war, occupation, and massive refugee influx. Cadiot’s film is also a history lesson, showing these periods of strife and how they affect Nejmeh FC and its people. For example, in 1982 the Israeli Air Force bomb and destroy the Sports City Stadium because it is being used as a Palestinian warehouse and training facility. In 1986-1987, players join the off-field fighting between two Shiite groups (Iran-backed Hezbollah and Syria-backed Amal), yet they continue to play together for Nejmeh FC on the pitch. For the completely opposite approach to diversity, watch the 2016 film Forever Pure about Beitar Jerusalem, whose supporter group enforces racism. I had originally not paid that much attention to the Pelé part of the film. I hadn’t even included it in my review, because I had discounted the event as one of Pelé’s promotional tours. But what I ignored was that the event caused two filmmakers to view a culture differently and to explore its depths. And for me, that is the real value of watching football films. Updated Feb-20-2018 to incorporate Yaacoub’s input and to correctly identify Amal as a Shi’a group. For another fine documentary about football and Lebanon/Beirut, check out Beirut Parc.